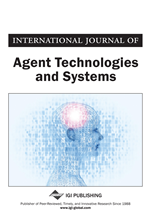 In this paper, the authors demonstrate the use of software agents to extend the role of humans in a collaborative work process. The extended roles to agents provide a convenient means for humans to delegate mundane tasks to software agents. The framework employs the FIPA ACL communication protocol which implements communication between agents. An interface for each agent implements the communication between humans and agents. Such interface and the subsequent communication performed by agents and between agents contribute to the achievement of shared goals. The development of our framework is inspired by the work of many researchers in agent, multi-agent, collaboration, and workflow systems (Chavez & Maes, 1996; Chen, Wolfe, & McLean, 2000; DeLoach, 1999; Ferber, 1999; Labrou & Finin, 1994; Muehlen & Rosemann, 2000; Steinfeld, Jang, & Pfaff, 1999; Tsvetovatyy et al., 1997; Wooldridge, 2002). Ferber (1999) and Wooldridge (2000) both presented a comprehensive introduction to the field of agent-based systems. Labrou and Finin (1994) proposed the Knowledge Query and Manipulation Language (KQML), an agent communication language for multi-agent coordination which has been developed further by the Foundation for Intelligent Physical Agents (FIPA) (FIPA, 2001, 2002a, 2002b). A significant part of our work draws references from the work of Chavez and Maes (1996), and Tsvetovatyy et al. (1997). Both groups developed and demonstrated a multi-agent system (MAS) that carry out transactions and tasks on behalf of humans. Their applications focused on virtual markets based on MAS to address the need of autonomous agents to make automated purchasing for their owners. Kasbah (Chavez & Maes, 1996) and MAGMA (Tsvetovatyy et al., 1997) are MASs that provide a virtual market for buyer and seller agents to communicate, negotiate, and make a possible deal on their owners’ behalf.